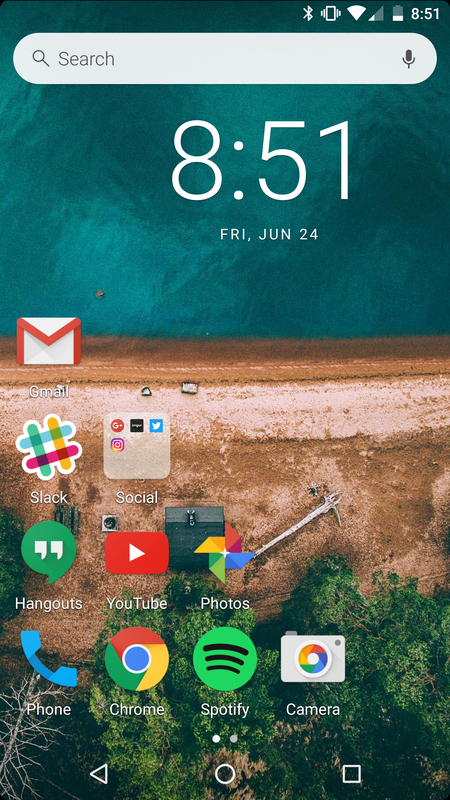 Customization is at the heart of Android and one of the easiest ways to change up your device is with a custom launcher. With just a few taps, you can easily change the look and feel of your device. Over the past few years we’ve seen dozens of great options, but lately I’ve been trying out a relatively new one called “Evie”. Let’s a take a quick look. So what’s different about Evie? 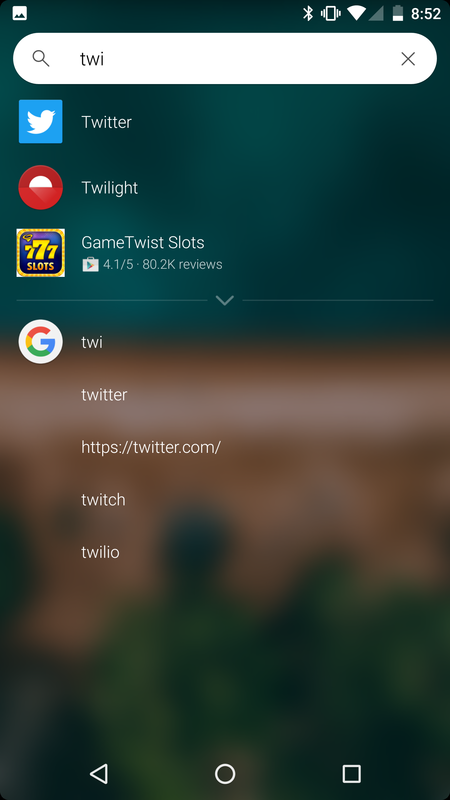 At a glance it’s your standard Android launcher, sans an app drawer icon, but the entire experience is built around one thing, universal search. A quick swipe down — yes, there is a nod to iOS here for sure — on your homescreen reveals this powerful functionality. 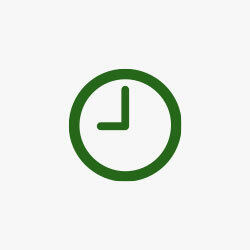 While booking a ride, getting directions or ordering food on mobile has quickly become second nature to many of us, there’s a growing disconnect between the actions people take and the mobile interface that gets them there. Our smartphones don’t seem to be smart enough to help us complete these common actions without diving in and out of multiple apps. Yet these are things millions of people do everyday on their phones. We believe the core solution to this app proliferation and fragmentation problem lies in understanding the relationships between apps, services, and content on mobile. We want to provide people with a direct path to what they want, when and where they want it — without toggling between multiple apps. 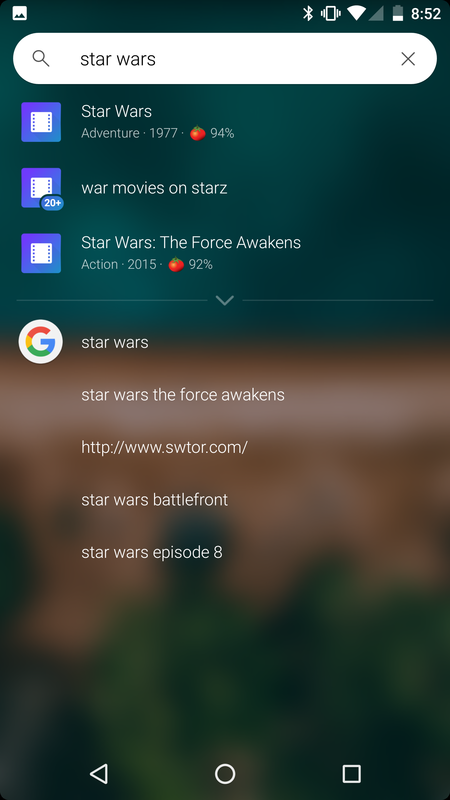 At first I wasn’t too sure about how useful universal search would be on my homescreen, but I found it extremely easy to get addicted to. Within just a day or so of using Evie on my daily driver, I already relied quite heavily on the functionality. 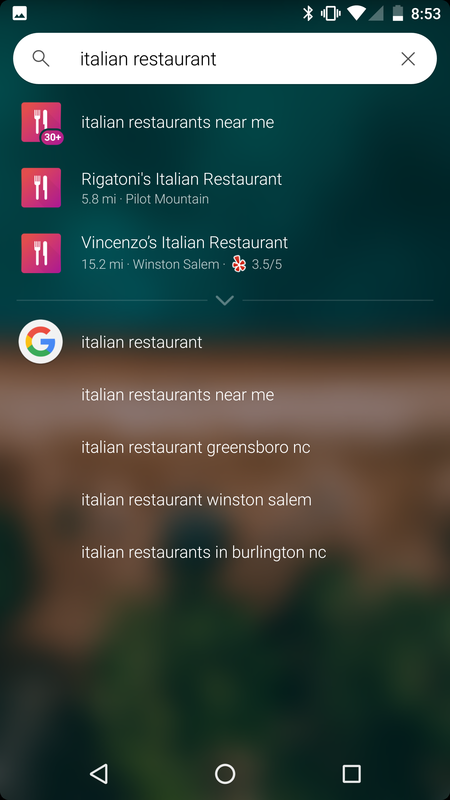 If you’re a dedicated Google Now user, however, there is a swipe gesture to launch the service. 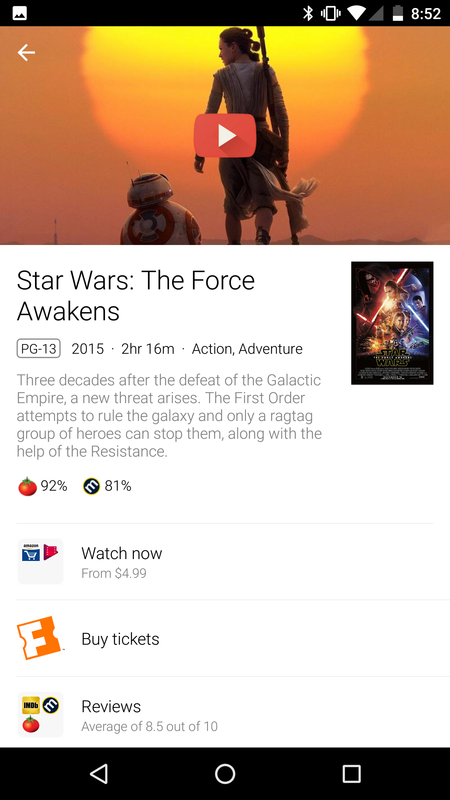 Simply swipe upward on your homescreen and Google Now will launch instantly (with a slick animation to boot). Looking past that a bit however, let’s talk about design. As I mentioned, at first glance this looks like your average launcher, however there are some key changes. First and foremost is the app drawer which has been moved from its usual location. 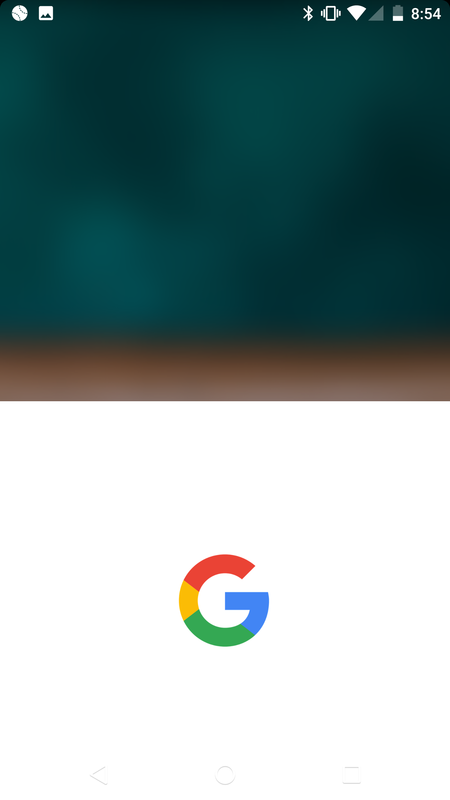 Rather than being a button on your dock, the app drawer is available with a swipe from the left side of the screen, just like on Action Launcher 3. 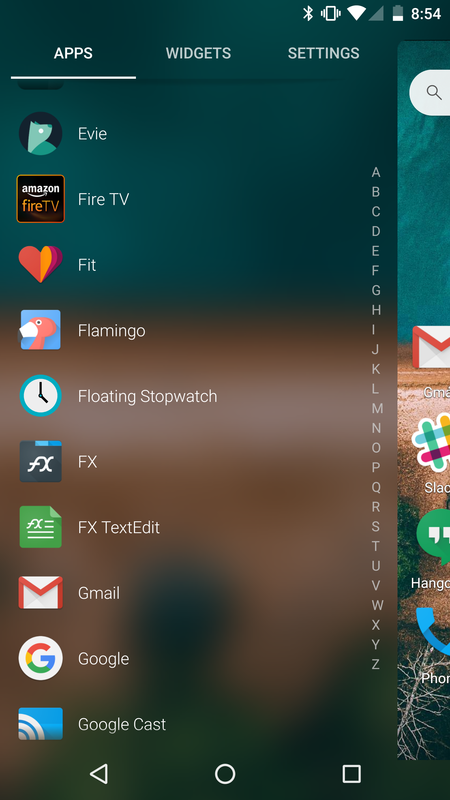 If you’re accustomed to the typical app drawer, it’ll take some time to get used to this, but it’s actually really quick and convenient once you’ve done so. Widgets and Evie’s settings will also be found within this drawer. Folders also get a new, yet familiar look. Overall, there’s definitely an iOS tone to the entire launcher as I mentioned, but I actually quite like it and it blends well with the Android N preview on my Nexus 6P. Performance on Evie is also spectacular. Despite the fact that my device is running preview software, the launcher runs just as fast as any other out there. Along with everything else, you’ll also get full icon pack support, something that’s always nice to have on a third-party launcher. Best of all, Evie is free to use. There are no in-app purchases and no ads, just a fun, free launcher experience. You can download Evie now on Google Play.